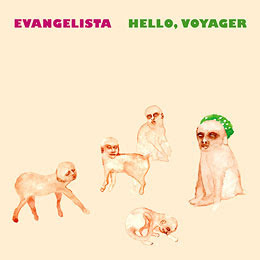 Evangelista is Carla Bozulich's new moniker and this record features most of Thee Silver Mt. Zion. I can't get enough of the song "Truth is Dark like Outer Space" and lucky for us it is the first song on her MySpace page right now so be sure to check it out...just be patient... it takes about 45 seconds for it to really kick in and explode. And no, Evangelista has nothing to do with the supermodel who shares the same name.